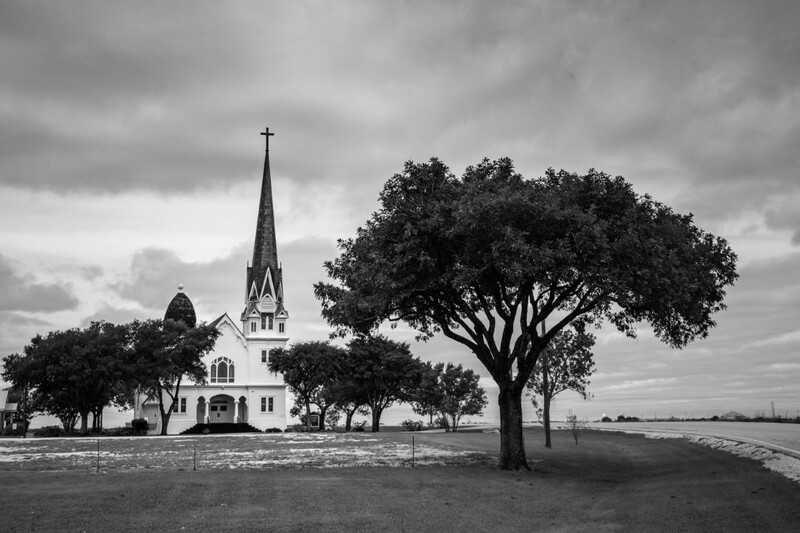 It is said that this beautiful church northeast of Austin is the most photographed church in Texas, and I’ve certainly been doing my part to keep it that way. Folks started settling in the area in 1873 and for the first few years it was called Knight’s Ranch. It quickly became known as New Sweden when after this congregation was established in 1876. The little town never, thrived, though it did have a post office from 1887 to 1902 as well as two general stores and a cotton gin. New Sweden’s first sanctuary was completed in 1879 a little farther to the west, closer to the intersection of FM 973 and New Sweden Church Road, at the site of the church’s cemetery. In 1921, construction began on the current building, which was completed in 1923.